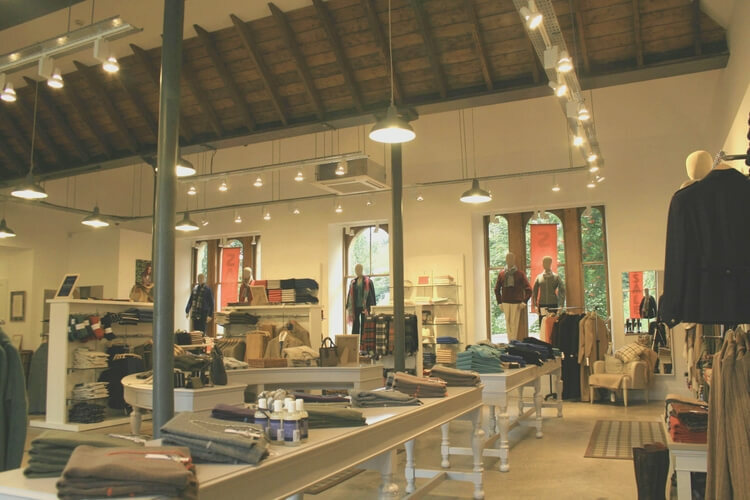 A visitor centre, café and retail outlet for Johnstons of Elgin, Scotland’s leading luxury textile manufacturer in their Hawick factory. Originally opened in 1882, Eastfield Mills was one of several water powered factories in the area. 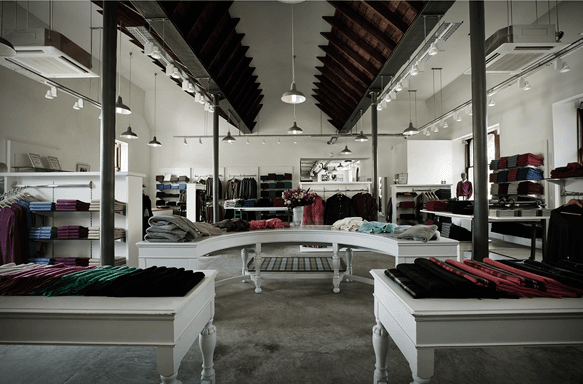 Currently, the mill itself houses factory areas, administration, a design studio and a showroom for clients which are all located in a primary two-and-a-half storey building with single storey wings. The Mills are in a French Renaissance style and are Category B listed. 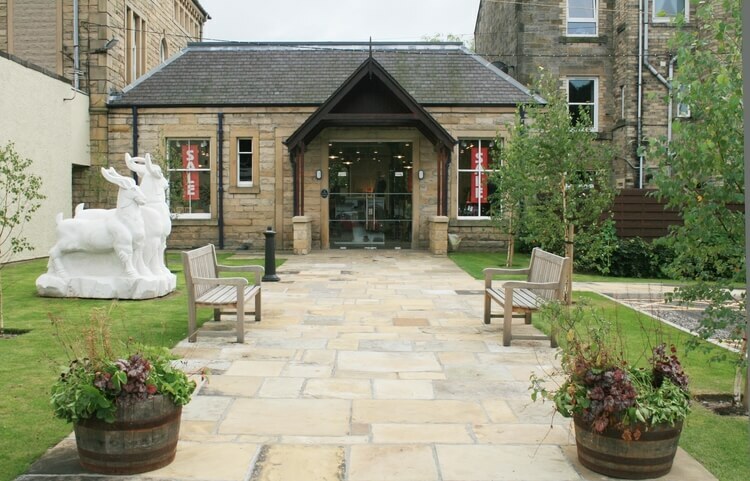 Aitken Turnbull have designed a 3,600 sq ft visitor centre which is located on the ground floor and western single storey wing. This renovation required substantial restructuring and a new mansard roof on part of the existing building. 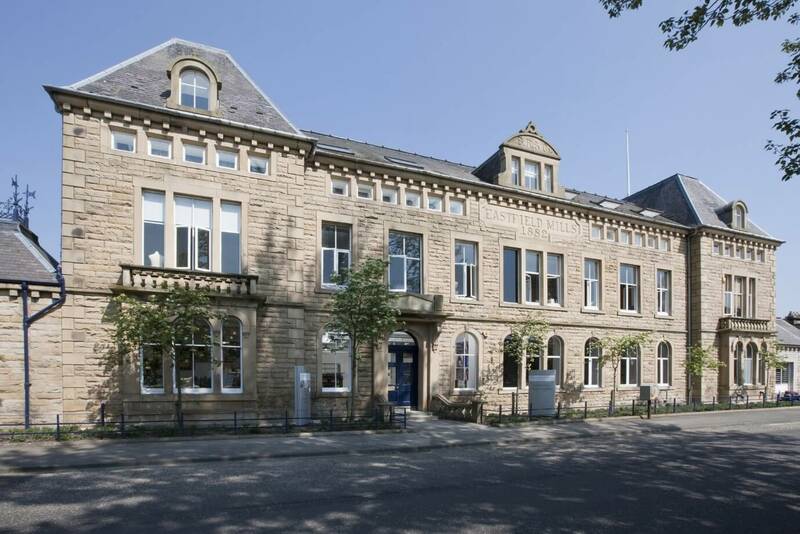 As the client was particularly keen to preserve and emphasise the industrial nature of the building the exterior facade has been largely unaltered, apart from the addition of a stone and timber porch at the north entrance. The new centre has been designed to respect the historic nature of the existing building.